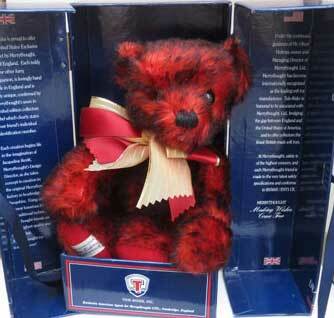 The 1995 Blue Sapphire Anniversary Bear. 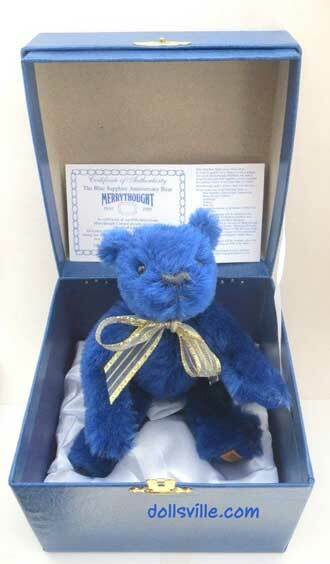 Merrythought's Blue Sapphire Anniversary bear made for their 65th Anniversary 1930-1995. 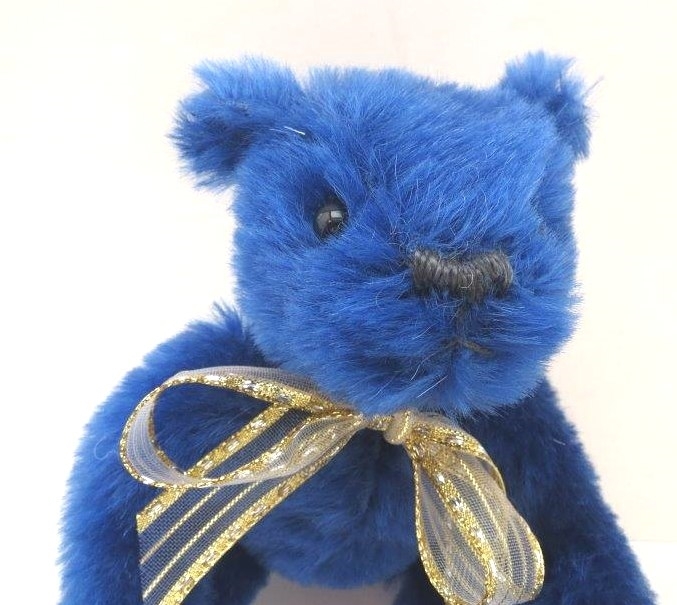 An exquisite sapphire blue mohair teddy bear with toning raw silk blue paw-pads, a glittery golden ribbon around his neck, black beady eyes, grey silk embroidered nose, mouth and claws. 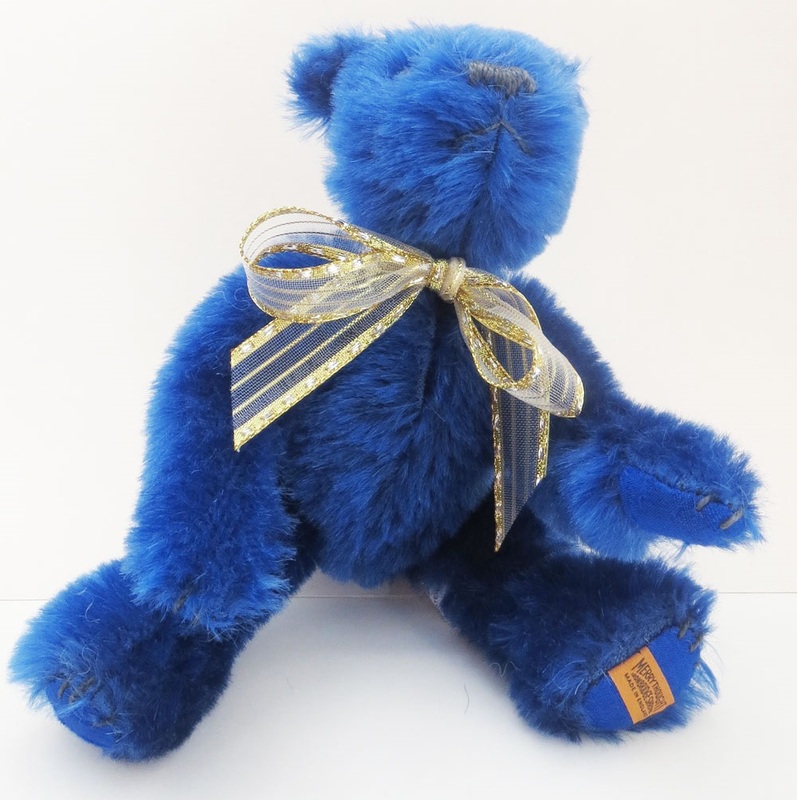 Blue Sapphire comes in a very fancy satin-lined jewel case, with a golden latch, with " Merrythought 1930-1995 Blue Sapphire Anniversary bear" imprinted on it in gold. 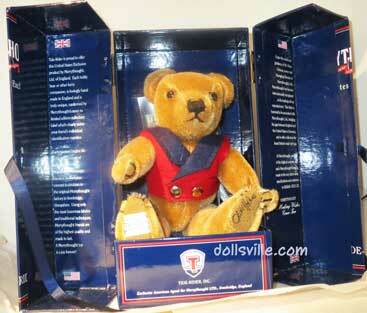 Just seven and a half inches tall, he is hand-made of pure English mohair, fully jointed. 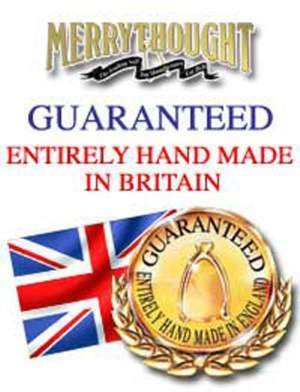 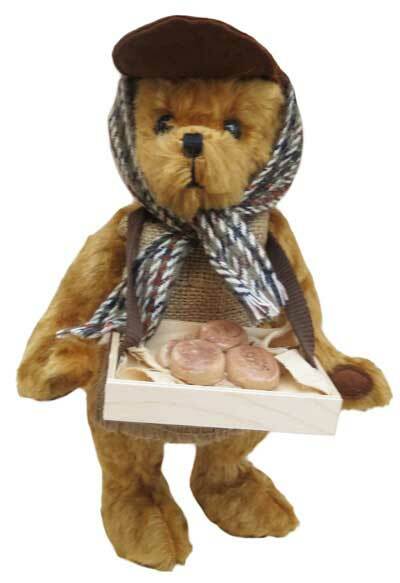 The talented artists at Merrythought, in England, create adorable teddy bears in pure mohair. 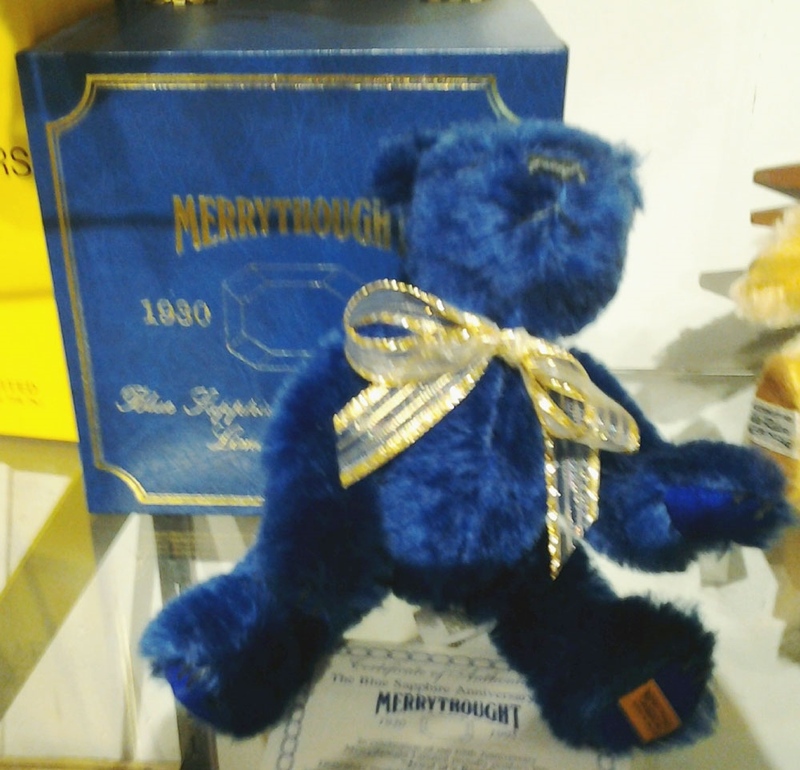 Merrythought's Blue Sapphire Anniversary bear 1930-1995.